Transport yourself to the Pacific Islands and remote regions of Australia, surrounded by the sounds of local language conveyed via a virtual reality experience. 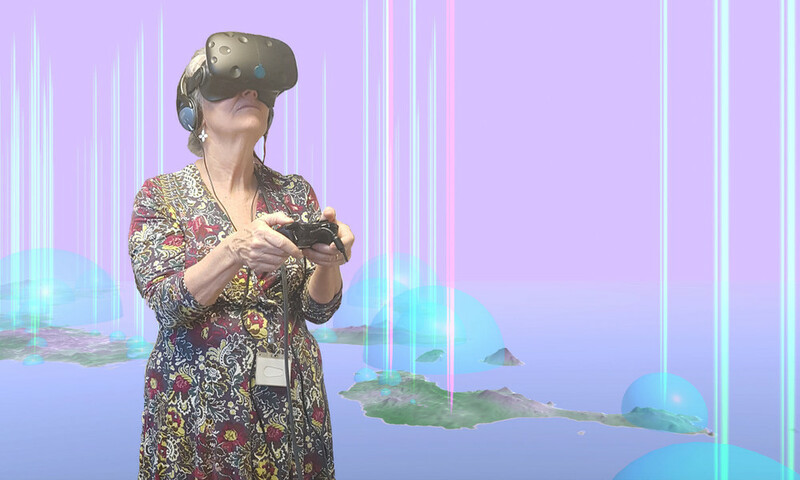 The project combines linguistic research and innovative digital methods to create a map of the Pacific Islands that the user can ‘fly’ over and dip down to hear songs and spoken word from some of the more than 1500 languages spoken in the region. Developed by Dr Rachel Hendery, Senior Lecturer in Digital Humanities, Western Sydney University and Dr Andrew Burrell, new media artist and creative developer in association with the Pacific and Regional Archive for Digital Sources in Endangered Cultures (PARADISEC). PARADISEC digitally documents and archives endangered cultures and languages from around the world and is focused on providing access to this collection. Funded by the Centre of Excellence for the Dynamics of Language.